Most of the early immigrants who came to the thirteen original colonies and who, through hard work and responsible citizenship, helped found the United States of America were either English or German. One such German immigrant was Johann Cristoph Widener who arrived at the Port of Philadelphia on November 2, 1752 aboard the ship Phoenix from Portsmouth, via Rotterdam, a common route at the time. He took up residence in Philadelphia and married Anna Kinneman. He later married Anna Margaretha Engelhardt although records do not indicate the disposition of the first marriage. Johann and his second wife Anna had two daughters and four sons between 1763 and 1798. Their first son Michael was born February 20, 1765. Michael Widener, who died sometime prior to 1798, married Susannah Huhn in September 1789 at the First Reformed Church, Philadelphia. They had a daughter Susan and a son Johannes who was born June 14, 1790. Johannes shipped freight between Philadelphia and Pittsburgh and later became a brickmaker with a residence on Vine Street and later on Fairmount Avenue both in Philadelphia. In March 1811 he married Sarah Fulmer at St Johns Church and they had three children, Margaret, George who ran a butchers stall in the Girard Avenue Market, and Peter Arrell Brown Widener. Peter Arrell Brown Widener was born in Philadelphia on November 13, 1834, attended public school, and became an apprentice butcher's boy, learning the trade and saving his money until he was able to open his own butcher's shop in the Spring Garden Market. He opened several other shops around town while his original stall became a hang out for locals who liked to discuss politics. PAB soon became leader of the Twentieth Ward. During the Civil War, through his political connections, he was awarded a government contract to supply mutton to all Union troops within a 10 mile radius of Philadelphia which earned him $50,000 in revenue. He took the profit and invested in horse cars with his friend and store clerk William Elkins. In 1858 PAB Widener married Hannah Josephine Dunton who was born 1836 in Philadelphia. They had 3 sons Harry who died about age 11 from typhoid fever, George Dunton Widener, and Joseph Early Widener. Hannah Widener died aboard the family yacht in Maine on July 31, 1896. PAB pursued politics and from 1867-1870 was a member of the Philadelphia Board of Education. When the city Treasurer was jailed in 1873 for conspiracy, the Republican Party appointed PAB to fill the remainder of the term. He was then elected to that position the following year. During this time he continued to run his chain of butcher shops and in 1875 he, William Elkins, and political boss William Kemble, pooled their money to purchase street railway franchises and make other investments. They founded the Philadelphia Traction Company in 1883 and through their connections expanded their streetcar holdings to Chicago, Pittsburgh, and Baltimore over the next several years until they operated over 500 miles of track. PAB was also an organizer of the U.S. Steel Company, the American Tobacco Company, and invested in International Mercantile Marine, owner of the White Star Line and Titanic with J.P. Morgan. PAB had built a home for his family on North Broad Street in Philadelphia, but around the turn of the century decided he needed a larger home for both his family and his art collection. His wealth enabled him to commission local architect Horace Trumbauer to design and build the Georgian-style 110 room Lynnewood Hall on 300 acres of land at Elkins Park, in Montgomery County just north of Philadelphia. The grounds and elaborate gardens of the estate were designed by Jacques Greber who had redesigned the outskirts of Paris. The estate included stables, greenhouses, a polo field and a reservoir. The main house itself was set in a 36 acre, impeccably landscaped area and the Wideners employed up to 100 servants to wait on them and maintain the property. 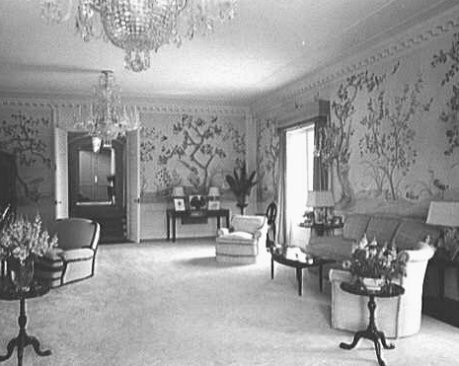 In old photos the interior design, done by a French decorating firm, appears rather gauche and overdone by today's standards, though it was chic at the time. In 1925 the stables were converted into a home for PAB II and his family. In the years after the death of Joseph Widener in 1943 the southern part of the estate was sold off and eventually apartments were built on the site. Lynnewood Hall and the surrounding 36 acres were then sold to a buyer who planned to turn it into a Protestant university. However, the buyer defaulted and the Wideners repossessed the property. The mortgage debt was about $99,000. Lynnewood Hall was later sold to the Faith Theological Seminary which never maintained the property well and sold off some of the interior marble and other fixtures, damaging the house in the process. The house and grounds fell into total disrepair over the years and the once magnificent property now sits in a state of decay, still surrounded by its original decorative wrought iron fence. It changed ownership again and the future of Lynnewood Hall has been a hot topic of conversation in Cheltenham Township for the past several years. Horace Trumbauer and the Widener Family maintained a long relationship and the work he did for them propelled him into prominence. He designed Miramar in Newport, R.I., the Widener Library at Harvard, Ronaele Manor in Elkins Park, and did work on George D. Widener Jr.'s Erdenheim Farm Estate north of Philadelphia. George D. Widener Jr. and Joseph Widener were honorary pallbearers at Trumbauer's funeral in 1938. 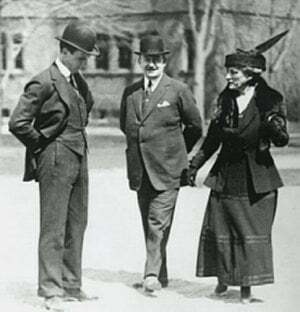 George D. Widener Jr., Horace Trumbauer & Eleanor Elkins Widener at Harvard 1915. Grief stricken over the loss of his son and grandson in 1912, PAB spent time completing the late Harry's book collection and planning to build a library at Harvard in his memory. However Eleanor Widener persuaded PAB to let her complete that task. PAB spent the next few summers aboard his yacht which made stops in Newport, RI on weekends where he would visit family members. Peter Arrell Brown Widener died at his Lynnewood Hall estate on November 6, 1915 and he was placed on a bier in the Van Dyck Gallery below his portrait where hundreds of friends and employees filed by to pay their last respects. His casket was then moved to a church for funeral services and he was interred in the family mausoleum at Laurel Hill Cemetery on the banks of the Schuylkill River in Philadelphia where he lies at rest beside his wife, father, and mother. Laurel Hill, also the burial site of William Elkins and other prominent Philadelphians, became run down over the years and, as of the 1990's, a preservation project was underway to restore the cemetery. George Dunton Widener was born in Philadelphia on June 10, 1861. He first worked in a grocery store and then joined his father's business, quickly taking on the management of most of PAB's traction and streetcar business. He was president or director of a dozen streetcar companies and local railways in the Philadelphia area. He also served as Director of the Land Title Bank and Trust Company, Electric Storage Battery Company, a brick company, the Portland Cement Company, and a company which built the Ritz-Carlton Hotel in Philadelphia. George Widener took an active interest in charity, was Director of the Philadelphia Academy of Fine Arts, and a member of many social clubs including the Philadelphia Country Club. On November 1, 1883, he married Eleanor Elkins, daughter of his father's business partner, William Elkins. They had three children, Harry Elkins Widener, George Dunton Widener Jr. and Eleanor Widener. When PAB moved into his magnificent Lynnewood Hall Estate in Elkins Park, George, Eleanor, and their children moved with him. George was senior warden at St Paul's Episcopal Church, Elkins Park, and chair of the Board of Commissioners, Cheltenham Township. For the next nine or more years he, Eleanor and their children lived at Lynnewood Hall, attended by dozens of servants. In 1912 they traveled to Europe with their son Harry, booking return passage on the maiden voyage of the Titanic. George, his valet, and Harry died in the sinking. Eleanor and her maid boarded a lifeboat with other First Class women and were rescued by the Carpathia. Funeral services for George and Harry were held at St Paul's where stained glass windows were dedicated in their memory by Eleanor. On Commencement Day 1915, Eleanor Widener shared the dais with Dr. Alexander Hamilton Rice, Professor of Geographical Exploration at Harvard. After a brief courtship they wed the same year. Over the next 22 years they maintained a high social profile and traveled extensively to South America, India, and Europe. Dr. Rice, grandson of Massachusetts governor Alexander Hamilton Rice and a direct descendant of Mayflower passengers, was a renowned geographer and explorer who specialized in rivers. An article in Harvard Magazine in June 2000 said that Dr. Rice "... knew headwaters the way other society folk know headwaiters." The article said that during seven expeditions to Brazil he had explored 500,000 square miles of the Amazon Basin and was among the first to use aerial photography and short-wave radio for such exploration. Dr. Rice's lengthy resume included many academic and other accomplishments. He was curator, trustee and officer of more than a dozen geographical societies and organized and directed many expeditions to South America. Also a surgeon, he was member of the Surgical Staff Ambulance Americaine in Paris in 1914-1915. Dr. Rice was commissioned Lt. U.S.N.R.F. in 1917 and served as Director of the 2nd Naval District Training School for Reserve Officers in Newport from 1917-1921. Dr. and Mrs. Rice took up residence in a New York townhouse and at Miramar, Eleanor's Newport estate, a 65-room ocean-front mansion that was originally commissioned by the late George D. Widener Sr. In 1915 the Rices hosted a ball attended by 500 members of society to officially open Miramar. During World War I, Mrs. Rice was an active supporter of and largest contributor to the Newport Chapter of the American Red Cross. In 1916 Mrs. Rice accompanied her husband on one of his expeditions when they set sail aboard the steam yacht Alberta from Newport bound for the Amazon River. According to her obituary in the New York Times, on Eleanor's second trip to South America in 1920, she went further up the Amazon than any white woman before and the party warded off an attack by natives, killing two cannibals in the skirmish. As a result that trip was abandoned on the advice of Indian guides, but the Rices ventured several more times into the jungle on later trips. During a lecture several years later Dr. Rice praised his wife's bravery. In 1917, the Imperial Japanese Mission, headed by Viscount Ishii, visited Newport to lay a wreath at the grave of Commodore Matthew Perry as part of a goodwill tour of the United States. Dr. and Mrs. Rice hosted a reception at Miramar for the entourage and a large group of other dignitaries. Eleanor Elkins Widener Rice died of a heart attack in a Paris department store at 5 p.m., July 13th, 1937. She was buried in Philadelphia. In her will she granted life interest in Miramar to Dr. Rice. He remarried in 1949 and remained active in the Newport social scene. In 1955 his birthday party attended by 500 guests was held at Miramar which was pretty much the last social hurrah for the grand old estate. Dr. Rice died at Miramar on July 3, 1956 at age 80 after an illness of several months and was buried at the Berkeley Chapel Churchyard, Middletown, R.I. Ownership of Miramar then reverted to Eleanor's children, George Widener Jr. and Eleanor Widener Dixon. They did not want the property so it was sold to a private school. Miramar was later purchased by real estate developer Andrew Panteleakis of the American Capital Corporation in 1971 for about $118,000. He commendably maintained the property in museum like condition until 2006 when he sold it for $17.5 million. This was the highest price ever paid for a home on Aquidneck Island in Newport. Harry Elkins Widener was born January 3, 1885, the first son of George and Eleanor Widener. He attended private school and graduated from Harvard in 1907 where he had developed an interest in book collecting. His collection included works by Shakespeare and a Guttenberg Bible. In 1912 at age 27 he was made a trip to London, where he made purchases for his collection. In April he boarded the Titanic at Cherbourg with his father, mother, and two servants. On the evening of April 14, after the ship struck the iceberg, he and his parents went on deck where he and his father assisted Eleanor Widener and her maid into a lifeboat. First Class survivor and fellow Philadelphian William Carter later said that he saw Harry on the deck of the sinking ship and urged him to try for a lifeboat. Harry replied that he would "...stick to the big ship... and take a chance." He went down with the ship and was regarded as a gentleman for his brave demeanor in the face of danger, particularly in a letter of sympathy from his Harvard classmates written to his mother. Eleanor Widener built the Harry Elkins Widener Memorial Library at Harvard which was dedicated in 1915 and his collection of 3,500 books was moved there from Lynnewood Hall. His portrait hangs in the Harry Elkins Widener Memorial Room, beneath which the university places flowers to this day. Eleanor Widener, daughter of George D. Widener Sr. and Eleanor Elkins Widener, was born in Philadelphia on April 10, 1891. At the time of her family's trip on the Titanic she was engaged to Fitz Eugene Dixon Sr., a banker and Davis Cup Captain. The wedding later went on as planned, although scaled down, at Lynnewood Hall with her brother George Widener Jr. giving her away. In the early 1920's Horace Trumbauer designed Ronaele Manor, a 60-room Tudor style mansion with 28 chimneys on property adjacent to Lynnewood Hall in Elkins Park that became the residence of Fitz and Eleanor Dixon and their children Eleanor and Fitz Jr. The Dixons later divorced and the property eventually became part of an educational institution. It was torn down in 1975 by a developer despite having been declared a historical site. In 1942 Eleanor Widener Dixon donated her $350,000 yacht Ronaele to the U.S Navy. Ronaele is Eleanor spelled backwards. Mrs. Dixon, and later her son Fitz Jr., made large financial donations to Abington Memorial Hospital and Maine Coast Memorial Hospital. Both institutions today bear the name Dixon in memory of "Mrs. Widener Dixon," as she was known, who died at age 74 at her home in Chestnut Hill, P.A. Her obituary said that she was active in groups promoting the preservation of birds and enjoyed raising flowers. George Dunton Widener Jr., the second son of George D. and Eleanor Widener, was born on March 11, 1889 in Philadelphia. Educated in private schools he became interested in horse breeding and racing, through the influence of his uncle Joseph, after the death of his father and brother in the sinking of the Titanic. In March 1917 he married Mrs. Jessie Sloane Dodge, the daughter of millionaire Henry T. Sloane. The wedding took place at the Sloane residence in New York City before a small group of family and friends, including the Rev. Henry Sloane Coffin and Joseph E. Widener, with Fitz Eugene Dixon Sr. acting as best man. Jessie was recently divorced from her first husband William Earl Dodge, grandson of the philanthropist founder of Phelps-Dodge Corporation, whom she married in New York in 1905 and divorced in Pennsylvania in 1916. The new Mrs. Widener's parents, Henry T. Sloane and Jessie Robbins Sloane, had divorced in 1899 after only a few years of marriage. Henry T. Sloane was the son of the founder of W & J. Sloane Department Store in New York City, and aside from running the business was also a philanthropist whose generosity included two Physics Labs donated to Yale University which still bear the Sloane name today. He owned several magnificent homes in New York City including a Beaux Arts town home on East 72nd Street. The home was occupied by the Lycee Francais a private school for many years and as of 2001 was listed for sale at $25 million. George D. Widener Jr. & Jessie Sloane Widener 1949. Jessie's sister Emily was born about 1890 and married Baron Amaury De La Grange, the French World War II era statesman, under-secretary of State of France, and aviation pioneer. Born in Paris in 1888, the Baron served as Lieutenant Colonel in the French Army in World War I, receiving the Croix De Guerre three times as well as the Distinguished Medal from the United States. His estate near Hazebrouck, which served as British Army Headquarters, was damaged in World War II. 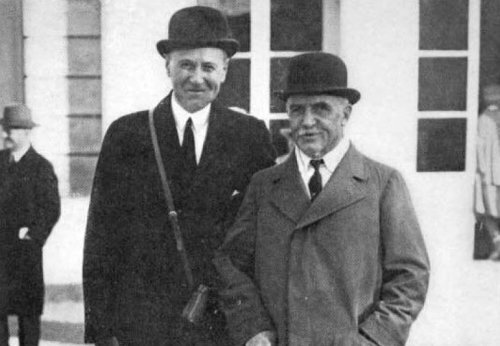 Baron De La Grange died in Zurich, Switzerland on June 10, 1953. He was survived by his wife, children, and 12 grandchildren. After his death Emily maintained homes in New York, Florida, and Monaco. Baron and Baroness De La Grange had a son, Henry Louis, a Swiss resident as of 1983, and three daughters, one of whom was the Countess De Guebriant. In May 1938 his daughter, Amecie De La Grange, married Marquis Aymard De Nicolay at the Church of St Thomas d'Aquin, ancestral church of the De La Grange family for many generations. Their other daughter, Marie De La Grange, was editor with the broadcast section of the French Division Office of War Information and came to the United States in 1939. In April 1941 she married Henry B. Hyde at St Patrick's Cathedral in New York City. She was given away by her uncle George D. Widener Jr. Hyde was the paternal grandson of the founder of Equitable Life Assurance and his maternal grandfather was John G. Leishman, former U.S. Ambassador to Italy, Germany, and Turkey. Henry and Marie Hyde, had two daughters the first being Lorna, who worked for Christian Dior and married and divorced Baron Hubert de Wangen, then later married Lawrence Graev. Lorna Graev is active socially in raising money for charity in New York City. Their second daughter Isabel first married the CEO of an American manufacturing company and then later married Daniel Schrimpf. Henry B. Hyde died in April 1997, and Marie Hyde died at age 64 in June, 1983 both in New York City as reported by the New York Times. 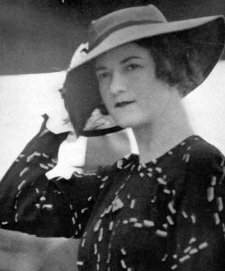 Baroness Emily Sloane De La Grange died at age 93 in October 1981 in an accident in her chauffer driven car in Monaco. Jessie Sloane's daughter from her first marriage to William Dodge, Diana, was born August 20, 1910 and attended the Sorbonne in Paris. In August 1928 Dr. and Mrs. Alexander Hamilton Rice held a ball at Miramar in Newport to introduce Diana to society. 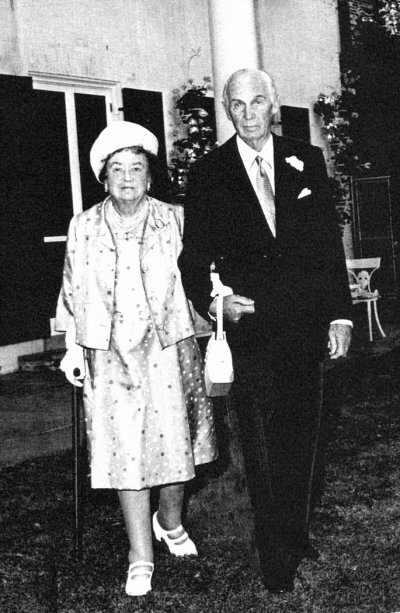 Former Rhode Island Governor and Mrs. R. Livingston Beeckman also gave a large dinner for Diana at Land's End. In July 1930 Jessie Widener announced the engagement of Diana to Frederick Martin Davies, a banker with Cassatt & Company, a Harvard graduate, and member of various clubs. Frederick's father was a prominent banker and horseman. One of his grandfathers, Eugene O'Neill was publisher of the Pittsburgh Dispatch from 1877-1902. Frederick and Diana Davies had a daughter Diana, possibly another daughter, and divorced in 1936. The same year Diana married her second husband, Princeton graduate George F. Ryan. The ceremony took place in the drawing room of George and Jessie Widener's Erdenheim Farm estate in Pennsylvania. 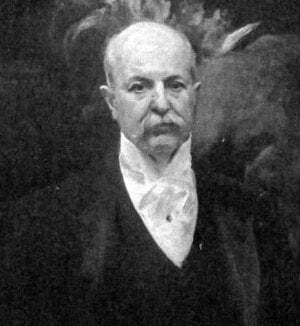 Ryan's grandfather was the late Thomas Fortune Ryan (1851-1928), the traction and tobacco magnate and the world’s tenth richest man at the time of his death. He was worth between $100-$200 million which he left to his descendants. George's brother Clenindin Ryan Jr. was secretary to Mayor Fiorello La Guardia of New York City. Another of Thomas Ryan's descendants was Virginia Fortune Ryan. She was born in 1933 and married David Ogilvy, 8th Earl of Airlie, of Great Britain in 1952 and became Lady Airlie. They had six children. In 1968 she was granted the title Countess of Airlie, and in 1973 became Lady in Waiting to Queen Elizabeth II a position which she holds to this day. 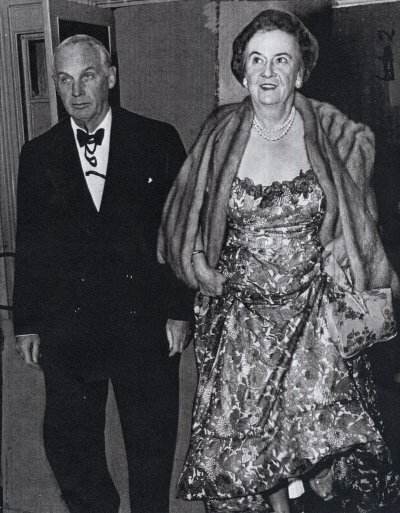 Countess Airlie's father was John Barry Ryan of Newport, R.I. who married her mother Margaret Kahn daughter of the Long Island financier Otto Kahn (1867-1934) of Kuhn, Loeb, & Co. The Ryan name is prominent to this day and weddings of Thomas Ryan's descendants are usually posted in the New York Times. In 1936 George and Diana Ryan purchased the historic Vaucluse estate onthe Sakonnet River, a tidal strait, in Middletown, R.I. and built a large home on the property. One of Jessie Wideners granddaughter’s Linda Caroline Ryan, a 1961 debutante, married Francis C. Grant of Chestnut Hill, at a large ceremony in Newport in 1966. George D. Widener Jr. gave away his step-granddaughter and the reception was held at Vaucluse. The Grants later divorced and in 1973 Linda married Dyer Jones, President of a boat building company in Rhode Island. The marriage took place at Mr. and Mrs. Cortright Wetherill's Happy Hill Farm in Pennsylvania. The New York Times reported Mr. Jones later remarried so this marriage also ended in divorce. Another of Jessie's granddaughter’s Sheila Ryan married attorney Warwick Neville then later divorced and married William F. Thayer of Palm Beach. Diana Dodge Davies Ryan passed away in October 1977, at age 67 and was buried at St. Mary's Episcopal Churchyard, Portsmouth, R.I. Her Vaucluse estate was purchased by the Van Beuren family, descendants of the Campbells soup family, who own it to this day. The house itself was destroyed by fire in the late 1990's. Today Diana's descendants live up and down the East Coast. 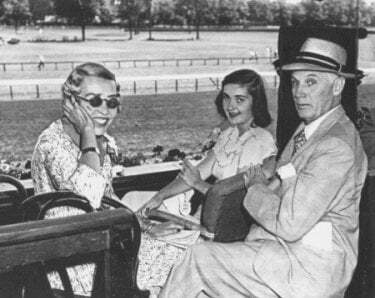 Over some 50 years, horses owned and bred by the George and Jessie Widener won 1,243 races and over $9 million in purses. Their most famous horse was probably Jaipur, winner of the Belmont Stakes in 1962. George Widener held numerous positions with thoroughbred organizations and was honorary chair of the Jockey Club. He also held executive positions with the Westchester Racing Association which owned and operated Belmont Park. He never entered a horse in the Kentucky Derby, saying that the race was too early in the season for 3 year olds. Widener was a very well known philanthropist and served as trustee on the boards of museums, art centers, and hospitals in Philadelphia, New York, and Washington, D.C. He was a vestryman at St Paul's Episcopal Church in Elkins Park and built a recreation building at a Protestant church in Chestnut Hill. In the business world he held directorships with the Land Title Bank and Trust, Philadelphia Traction Company, and Electric Storage Battery Company, although his main interest was breeding thoroughbred horses at his Erdenheim Farm estate in Chestnut Hill. He was president and director of the Westchester Racing Association and chairman of the Jockey Club in New York. In the early 1950's George Widener commissioned a book Widener-Dunton-Elkins-Broomall & Allied Families, compiled by Thomas Bateman. The 700-plus page volume provided genealogical information on the above families along with many others related by marriage. The book contains dozens of family crests and elaborate charts and there are numerous chapters which detail the direct lineage to George Jr. from royalty such as William the Conqueror, Charlemagne, and the Plantagenets, on both the Widener and Elkins side, along with links to New England and Revolutionary War ancestors. To say this work is detailed is an understatement. 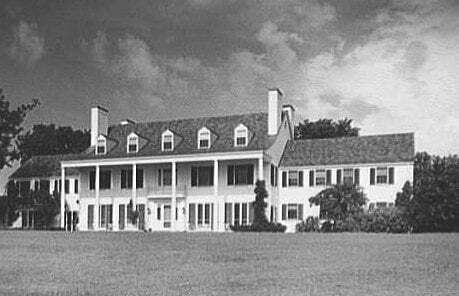 The Wideners were very well known East Coast socialites and hosted overnight guests such as the Duke and Duchess of Windsor at Erdenheim Farm. Jessie Sloane Dodge Widener died at age 84 on March 11, 1968, her husband's 79th birthday. Mrs. Widener passed away at the Miami Heart Institute in Florida where she had been a patient for 2 weeks. She and her husband had been married for over 50 years. Her obituary states that prior to her death she had frequently been seen in the Widener box at Hialeah during the racing season. Surviving family members were her sister Baroness Emily De La Grange of Paris, her daughter Diana Ryan of Newport and 4 granddaughters, Mrs. Linda Grant, Mrs. Messmore Kendall, Mrs. Warwick Neville, and Mrs. Alexandra Dewey all of the Philadelphia area. George Dunton Widener Jr. lived 3 more years and passed away at his Erdenheim Farm Estate on December 8, 1971. His funeral service was held at St Thomas Church in Whitemarsh, located on historic Church Hill, the site of a Revolutionary War battle between George Washington's troops and the British Army. In his will in part he directed that "...my wife’s engagement ring and the pearls she wore so often be sold and the proceeds be divided among her 4 grandchildren...". He left $200,000 to his stepdaughter Diana Ryan, and added $3 million to a 1962 trust fund set up for his four step-granddaughters and two daughters of his wife's sister. He and his wife had no children of their own so he left the bulk of his vast estate to his nephew and only immediate relative, Fitz Eugene Dixon Jr. Widener's obituaries in various newspapers described him as "patrician", the last representative of a bygone, genteel era, an immaculately tailored gentleman who was highly regarded in the horse racing world due to his distinguished manner. Eleanor Widener Dixon was born the daughter of Fitz Eugene Dixon Sr. and Eleanor Widener Dixon. She attended private school, spent a year at the Sorbonne in Paris, and was a 1931 Philadelphia debutante. In 1937 her parents announced her engagement to James C. Gentle, son of Mr. and Mrs. James C. Gentle of Brookline, Mass. James was a 1926 University of Pennsylvania graduate and member of the 1932 U.S. Olympic Soccer Team in Los Angeles. James and Eleanor Gentle lived in the Flourtown area of Montgomery County. Eleanor played on the Sunnybrook Golf Club Team and was a member of the Philadelphia Women's Golf Committee. She was a trustee of the Abington Memorial Hospital, the Maine Coast Memorial Hospital and the Bethesda Hospital in Delray Beach, Florida. Eleanor Widener Dixon Gentle passed away at age 53 at Germantown Hospital in Philadelphia in July 1967. Funeral services were held at St Paul's Church in Chestnut Hill. She was survived by her husband, her father Fitz Eugene Dixon, and her brother Fitz Eugene Dixon Jr.
Fitz Eugene Dixon Jr. was born August 14, 1923 and attended private school and Harvard University for one year. On June 5, 1952 he married Edith B. Robb of Ardmore. Dixon was well known in Philadelphia as a horse owner and breeder, businessman, and former owner of the Philadelphia 76ers, the NBA team which he purchased in 1976 and sold in 1981. Chairman Emeritus of Widener University, Dixon was also Trustee of the Philadelphia Museum of Art. He and his wife Edith were patrons of the arts and regularly donated to and raised money for numerous charities, educational and medical institutions. In 1971 upon the death of his uncle George D. Widener Jr., he inherited the Widener fortune along with Erdenheim Farm. Erdenheim Farm is one of the last large undeveloped parcels of land in Montgomery County and controversy has arisen over the future development of the property with developers on one side and local community groups on the other who favored Dixon for holding onto the property despite numerous offers from developers. As was his uncle, Dixon was described as "patrician" and was highly regarded in Philadelphia as a philanthropist. Fitz Eugene Dixon, Jr. died of skin cancer Wednesday, August 2, 2006, at age 82 at Abington Memorial Hospital north of Philadelphia. Funeral services were held at St. Paul’s Episcopal Church in and he was interred in the Widener family mausoleum in Laurel Hill Cemetery. His death was prominently noted in newspapers from Palm Beach to Maine, where he had a summer home. He was involved in boards, directorships, and charities too numerous to mention. Every obituary that was published was highly complimentary of this extraordinary gentleman who was described as wealthy but humble and highly regarded by all he met. Mr. Dixon was survived by his wife Edith, son George Widener Dixon of Florida, and daughter Ellin Dixon Miller of Florida along with grand and great grandchildren. He left part of his Erdenheim estate to his daughter Ellin and the rest of the property has been in the news in the local area as preservation efforts are underway by several local groups as well as by Montgomery County officials to save this magnificent piece of history. On July 24, 2007, Pennsylvania Governor Edward Rendall announced that the state was granting $1 million to several groups seeking to preserve the property. Joseph Early Widener, son of PAB Widener and Hannah Widener was born Aug.19, 1871 in Philadelphia and grew up at his father's home on North Broad Street which was not considered to be a socially desirable location by Philadelphia's upper class. This conflicted with the fact that Joseph was very status conscious. He attended Harvard and briefly went to the University of Pennsylvania where he studied architecture. Joseph never shared his father and brother's avid interest in the business world instead focusing on art and horse racing. The latter interest would influence his nephew, his children, and their descendants to the present day, as the Widener, Dixon, and Wetherill names became synonymous with thoroughbred hose racing. Joseph married Eleanor Pancoast, who died in 1929 of heart disease, and they had two children, PAB Widener II, born in 1895, and Josephine "Fifi" Pancoast Widener, born in 1902. Joseph and his family moved to Lynnewood Hall with the rest of the Wideners at the turn of the century. When PAB died in 1915, Joseph became administrator of the family business and, upon inheriting his father's vast estate, one of the richest men in America . At the time the Forbes list placed Joseph’s net worth in the $60 million range, equivalent to about $650 million in today's currency, with an annual income of $3 million. 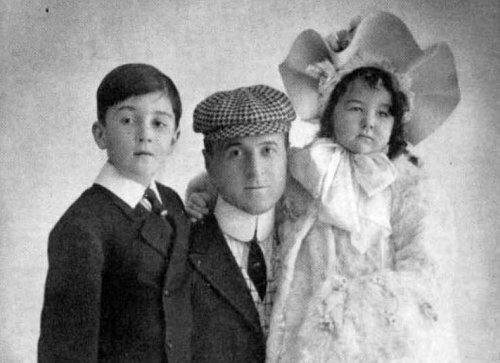 Joseph Early Widener, his son PAB II and daughter Josephine "Fifi"
He rather quickly set about downsizing PAB's Lynnewood Hall art collection from 400 paintings, housed in one big gallery, to about 100 paintings, split up between several different galleries in which he played music from phonographs he concealed in the walls. He also added to the collection with select items and opened the Lynnewood Hall galleries to the public. While in London, upon learning that Queen Mary was interested in art, he wrote to her asking permission to send her a catalog of his art collection. The Queen accepted his offer and returned the favor in 1932 by sending him a catalog of the Buckingham Palace collection. Although he never met Queen Mary, she sent him autographed photos of herself and King George along with an annual Christmas card. However, Joseph met King George V several times after first being introduced to him by Lord Derby, a Widener racing crony, at Ascot. When several members of European royalty visited Lynnewood Hall in person to view the Widener collection, PAB II and his wife Gertrude acted as hosts. Beatriz, Infanta of Spain, and Alonzo ,brother of the King of Spain, visited in 1928. Other guests included the exiled Grand Duchess Marie of Russia and the Crown Prince and Princess of Sweden. In his will PAB granted Joseph custody of the collection and the authority to give it as a gift to the public in Philadelphia, Washington, or New York. President Coolidge and Treasury Secretary Andrew Mellon desired that Widener donate the collection to the American public, promising that it would be displayed in a new museum in Washington, D.C. In 1939 Joseph Widener agreed to the plan and made the donation in memory of his father. President Roosevelt formally announced the donation at the dedication ceremony for the National Gallery of Art in March 1941. Today the Gallery houses paintings and art objects from the collection along with formal portraits of PAB Widener by John Singer Sargent and Joseph Widener by Augustus Johns. For the next 15 years or so, Joseph Widener bred and raced championship race horses and associated with high society both in the racing world and in fashionable resorts such as Palm Beach. When August Belmont II died in 1925 Widener bought much of his breeding stock and sold many of the horses to a group that consisted of W. Averill Harriman and George Herbert Walker, grandfather of President George Bush. Widener also took ownership of Belmont Park. However, his biggest accomplishment in the racing world was his transforming Hialeah Park into a major-league, first class racetrack combined with the introduction of pari-mutual betting in the State of Florida. The Miami area racetrack was founded in 1925 and operated, albeit with illegal betting which was curtailed once or twice by politicians. Joseph Widener purchased the track in 1930 and spent $2 million to upgrade it, creating an architectural masterpiece with extensively landscaped grounds. Over the next few years he built the country's first turf course and brought a flock of pink flamingos in from Cuba whose descendants still inhabited the infield until the present when they began to be farmed out to zoos around the country. The next several decades were Hialeah's glory days with horses such as Citation, running regularly. Ownership later changed hands a few times and the track saw a downturn in the 1970's. Disputes erupted over when other Florida tracks such as Gulfstream would host the racing season. Today the once magnificent track and grounds sit neglected and rundown, a mere relic of the palace Joseph Widener created. Joseph Widener also owned Elmendorf Farm in the Bluegrass Region of Kentucky and a horse racing farm in France. He continued to live at Lynnewood Hall and also maintained an estate, Il Palmetto, in Palm Beach which today is owned and being renovated by a computer tycoon. Widener's name was regularly in the sports and society pages of various newspapers related to horse racing and his social life, such as coming and goings to Europe on the Normandie. He was ill for the last few years of his life and it was said that he bid a tearful goodbye to his art collection when it was moved from Lynnewood Hall to Washington D.C.
Joseph Early Widener spent the summer of 1943 in Ventnor, New Jersey and returned to Lynnewood Hall in September where he died the following month on Oct. 26 of a heart attack. A brief funeral service was held in a flower blanketed church in Elkins Park and he was interred in the family mausoleum at Laurel Hill Cemetery in Philadelphia. He named his son PAB II and nephew George D. Widener Jr. as executors of his will which placed his estate in trust with equal shares to be paid to his two children. Peter Arrell Brown Widener II, the son of Joseph Early Widener and Ella Pancoast Widener, was born June 25, 1895 at Long Branch, New Jersey. He spent his childhood with the extended Widener family at Lynnewood Hall in Elkins Park, graduated from private school in Massachusetts in 1915, and then went to Harvard for a year. While at Newport in July 1916 he made the papers for rescuing a daughter of prominent locals who had gone under in rough surf at Baileys Beach and held her in the water for 10 minutes until lifeguards arrived. In 1917 he went to Washington, D.C. with his father Joseph who persuaded the Surgeon General to admit him to the Army as a Private despite his flat feet and a suspect heart condition which was caused by a childhood bout of pneumonia. PAB then served in World War I with the U.S. Expeditionary Forces in France with a medical unit, tending to the wounded and also serving as an interpreter because of his fluency in French. 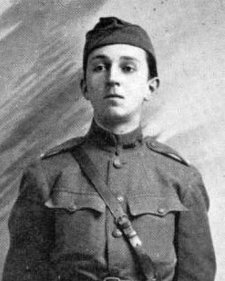 He rose through the ranks to Sergeant, and then returned to Elkins Park as 1st Lieutenant in March 1919 at which time he humbly praised both American Infantrymen and Army nurses to the press. PAB II spent the next several years at Lynnewood Hall and began to breed champion German Shepherd dogs. He purchased one dog in Germany for $8,000 and in 1920 built extensive kennels on the grounds of Lynnewood Hall. Old newspaper clippings contain photographs of the youthful looking, well dressed PAB II with his dogs. Throughout the 1920's and into the 1930's his Shepherds won titles, sometimes several years in a row, at various dog shows all over the East Coast, including the Westminster Kennel Club show in New York. He later branched out to include other breeds including Dachshunds. PAB II followed in his father's footsteps and bred and raced championship race horses for decades beginning after World War I. He and his wife were prominent in racing circles both as owners as well as hosts of numerous functions, on the racetrack and off. 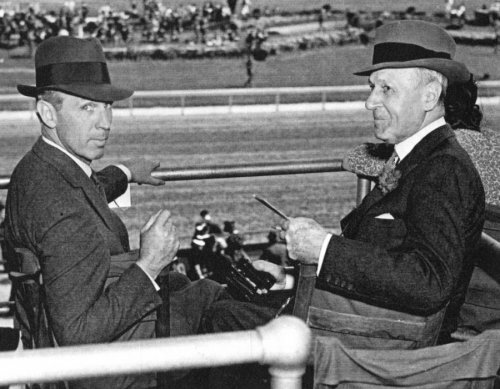 In March 1939 PAB II took over as president of Hialeah Park from his father and also assumed control and ownership of Elmendorf Farm in Kentucky. In November 1924 it was announced that PAB II would marry Gertrude T. Douglas Peabody, daughter of Senator Curtis Noble Douglas of New York, and niece of John A. Dix, former Governor of New York. The marriage took place only a few weeks after her Reno divorce from Frederick Peabody a wealthy men's clothing manufacturer. In her petition for divorce, Gertrude stated that Peabody had used liquor in excess and had punched her and knocked her down at their residence in the presence of Elizabeth Drexel, wife of John Drexel of the well known Philadelphia Drexels. Both Gertrude and Elizabeth Drexel later took up residence in Reno about the same time, both with the intent of divorcing their husbands. The wedding of PAB II and Gertrude took place in the Rembrandt Room at Lynnewood Hall, which housed 14 paintings by the artist of that name, in front of 20 family members and friends. The newlyweds set sail on the Berengaria to spend their honeymoon in Europe. In Aug.12, 1925 a son PAB III was born in New York. They later had a daughter, Ella Anne. The Wideners were prominent on the Newport summer scene during the 1920's and entertained regularly. In August 1930 it was reported that Gertrude Widener underwent an unknown type of surgery at a Newport hospital. Several members of the Widener family also maintained residences in Palm Beach, Fla. On a Saturday evening the first week of February 1934, while driving from Hialeah Park in Miami to their estate Il Palmetto in Palm Beach, PAB II, Gertrude, and his father Joseph were involved in an auto accident when their car struck a truck parked on Federal Highway. PAB cut his head, Gertrude broke her wrist and Joseph was said to be shaken up. The newspaper article did not say who was driving or what the cause of the accident was. Shortly thereafter the Wideners hosted a reception for the Earl and Countess of Athlone at Il Palmetto, the Earl being the brother of Queen Mary. In 1939 PAB II was briefly admitted to Abington Hospital in Pennsylvania due to a heart ailment. PAB II wrote his autobiography Without Drums in 1940 in which he described his gilded upbringing, referred to Lynnewood Hall as "a mausoleum" and then took swipes at Philadelphia society. All royalties from the book went to the Ella Pancoast Widener Memorial Fund which provided medical school scholarships. He was generous in allowing others to use portions of the Lynnewood Hall estate and in 1940 he let the Red Cross use the gatehouse as a local chapter office. During World War II he turned the grounds into a training facility for military dogs. In July 1946 PAB II purchased Waverly, a 7-acre estate with a Georgian style residence in Haverford, Pennsylvania, for $100,000 and reportedly spent many times that amount in remodeling. Charity was one of his greatest interests particularly the Widener Home for Crippled Children which he described as "a vital interest ... and truly satisfying work". Peter Arrell Brown Widener II died at age 52 on April 20, 1948 at Lankenau Hospital in Bryn Mawr, from a rheumatic heart condition. He was a patient there for 3 weeks prior to this death and his obituary says that he had sought treatment in Maine and Florida before entering Lankenau. A 20 minute funeral service attended by 300 family members and friends was held at the Church of the Redeemer in Bryn Mawr. Of note, the Church of the Redeemer is the site of the family burial plot of Titanic survivor John B. Thayer and family. PAB II left his estate to his family having created trust funds for his wife and daughter and willing his racing farm to his son PAB III. PAB II's widow Gertrude Widener died at age 71 in her apartment at the Lowell Hotel on East 63rd Street in New York City on February 3, 1970. She also had a home in Paris but lived in New York for the last 3 years of her life. Her funeral was held at St Albans Church in Newtown Square, Pennsylvania, near the home of her daughter Ella Wetherill and she was interred in the Widener mausoleum. Peter Arrell Brown Widener III was born Aug.12, 1925 the only son of PAB II and Gertrude Widener. He attended private school and traveled with his family to the usual places such as Palm Beach. PAB III served as Private First Class with an Army combat engineers unit for two years during World War II and then attended the University of Kentucky. He became interested in law enforcement and was appointed a deputy constable with Fayette County, Kentucky in 1948. He was later promoted to Chief of Patrol, a position from which he resigned after a brief period of time. The same year he inherited Elmendorf Farm racing stable in Lexington upon the death of his father. He married Louise Van Meter of Lexington, Kentucky in 1947 and had two sons, PAB and George. They divorced in 1958 and Louise was given custody of their sons. In 1955 PAB III was appointed Commissioner of the Kentucky State Police by Governor Happy Chandler, an old friend. He went into his office daily, wore his uniform on formal occasions only, and did not draw a salary leaving it in the department budget instead. A year later he was appointed Commissioner of the Department of Public Safety for Kentucky, resigning that position in 1957, saying that he wanted to devote time to his cattle ranch in Montana. On May 21, 1959 PAB III married 1946 Baltimore debutante and Palm Beach resident Mrs. Patricia Massie Tavender in Philadelphia. An elaborate reception followed at the Cortright Wetherill's Happy Hill Farm. The couple honeymooned in the Bahamas and scheduled an August trip to Paris followed by an African safari. The Wideners maintained homes in Kentucky, Palm Beach, and a 500 acre horse breeding farm near Ocala, Florida. The year 1961 saw PAB III named Sheriff of Palm Beach County and the birth of a son Joseph Cabell Widener in February. On Feb. 4, 1963 Patricia Widener was killed at age 35 in an airplane accident while returning to Ocala after visiting relatives in Philadelphia with her daughter Genevieve. They had flown to Miami by commercial jet and then boarded the family's private jet for a flight to Palm Beach where Genevieve was dropped off. The twin engine Aero Commander then took off for Ocala, flown by the Widener's pilot Robert G. Staab, age 40. PAB III was waiting to meet the plane at the Jim Taylor Airport in Ocala. He saw the plane descend to about 200 feet then pull up and bank away into the rain. The plane did not report in anywhere else and the next morning the wreckage was discovered in a wooded area nearby. According to a newspaper story the plane appeared to have clipped treetops on a second approach to the airport, cut a swath 100 yards long and then disintegrated and burned on impact. The bodies of the pilot and Patricia Widener were found in the wreckage. PAB III was told that his wife had died instantly and did not suffer because the plane was not found until the next day. Staab, General Manager of Central Aviation Services, left a wife and 2 children. Patricia's remains were taken to Palm Beach and a funeral service was held at the Church of Bethesda-by-the-Sea. She was then interred in the Widener mausoleum in Philadelphia. A year later in 1964 PAB III married 22 year old Delta Airlines stewardess Frances Miriam Crenshaw in Palm Beach Gardens, Florida, and they set off for a honeymoon in Paris. They lived at the Widener residence near Ocala and were regulars at Hialeah over the next few years where PAB III had been elected to the Board of Directors in 1962. The Billings Gazette reported that Peter Arrell Brown Widener III, 74, died Friday, Sept. 3, 1999, in Sheridan, Wyoming, where he had a ranch, after a long illness. Funeral services were held at St Peter's Episcopal Church with a private internment in the family mausoleum in Philadelphia. Ella Anne Widener was born June 14, 1928, the daughter of PAB II and Gertrude Widener. She attended private school in Virginia and Bryn Mawr and was formally presented as a debutante at a large ball thrown by her parents at the Bellevue Stratford Hotel in Philadelphia in December 1946. In February 1949 she married Cortright Wetherill in large wedding at the Church of the Redeemer in Bryn Mawr. They took up residence at Happy Hill Farm in Newtown Square, Pennsylvania. Cortright Wetherill was born Nov. 26, 1923, son of C.A. Wetherill and Edwina Elkins Wetherill. He enrolled at Princeton but took time away from school to serve in the Army's 84th Infantry Division in Germany and France during WW II where he saw action and fought in the Battle of the Bulge. He attended the Sorbonne but returned to Princeton. He then became a stockbroker with the Philadelphia firm of Janney Montgomery Scott from which he later resigned to breed and race horses at his Happy Hill Farm. His most famous horse was Raise A Native who produced over 70 stakes winners. Ella Anne Widener Wetherill died May 6, 1986 at the American Hospital in Paris. Cortright Wetherill passed away May 23, 1988 in Philadelphia. The Wetherills had two sons, Peter Widener Wetherill, an investor and equestrian, and Cortright Wetherill Jr., who in 1974 married Janice Nestle daughter of Mr. and Mrs. Harold Nestle of Lancaster, Pennsylvania. Today Cortright Wetherill Jr. owns car dealerships in suburban Philadelphia and he and his wife are active on the social scene, often raising money for charity. In 2006 President George Bush appointed Cortright Wetherill Chairman of the Advisory Committee on the Arts for the John F. Kennedy Center in Washington D.C.
Josephine Pancoast Widener, daughter of Joseph and Ella Pancoast Widener, was born in 1902 in Philadelphia, and spent her childhood years, along with several generations of the Widener Family, at Lynnewood Hall. Nicknamed "Fifi" she made her social debut in 1919, and a year later in 1920 eloped with Carter Leidy a freshman at the University of Pennsylvania. Their elopement and marriage created quite a stir in social circles and the New York Times reported that the couple, both laughing at the prospect of a formal ceremony, were wed in Knoxville, TN, without the knowledge of the bride’s parents. The couple took up residence in a small house in Berwick, a small town along the Susquehanna River in North-eastern Pennsylvania. Carter had landed a factory job with the American Car Company, a manufacturer of train and subway cars. Berwick was a thriving company town from the turn of the century until the company closed in the early 1960's. Today the American Car Company's massive factory buildings stand in a state of decay. Berwick is likewise depressed and rather run down. Newspapers reported the Leidys were a "party couple" and that Carter occasionally appeared in court on charges such as speeding, sometimes with his wife. Joseph Widener later softened his attitude towards the marriage and the couple made occasional appearances on the New York and Newport scene. A daughter, Joan Leidy, was born August 19, 1923. After several years of marriage Fifi filed for divorce which was granted in the Montgomery County Court in Norristown in January 1926. 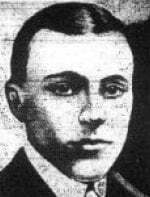 Of interesting note, several years later Carter Leidy was injured and his second wife Marjorie Woodhouse Leidy was drowned when a car he was driving plunged 40 feet into the Bronx River. Mr. Leidy told police that he was confused by rain and fog when the accident occurred. Fifi's second husband was Milton Whitely Holden, a Philadelphia stockbroker. This marriage was apparently sanctioned by Joseph Widener since the wedding took place on Dec 2, 1926, at Lynnewood Hall. The Holdens were married until 1932 when Fifi arrived in Reno, Nevada to file for divorce on grounds of cruelty. The New York Times curiously states that she arrived in Reno "wearing a heavy pair of spectacles ... concealing her identity" but., once recognized, admitted she was there to file for divorce against Holden who was purportedly on a yacht at the time with Vincent Astor, son of Titanic passenger John Jacob Astor. Fifi did not seek alimony and the divorce was granted the same year. On January 11, 1933, Fifi married Danish born Aksel C. P. Wichfeld in Reno. Wichfeld had come to the United States in 1910, working in banking and operating taxi cab companies. In 1916 he became attaché of the Danish Legation in Washington. Only hours before the wedding he had divorced his wife of 18 years, Maybelle Swift Wichfeld, heiress to the Swift meat-packing fortune and former wife of Clarence Moore, who perished on the Titanic. The same judge who granted the divorce also performed the wedding ceremony in Reno. During their marriage Aksel and Fifi traveled extensively, and wintered in Palm Beach. Old newspaper clippings tell of their many social activities and an Associated Press photo dated February 24, 1939, shows Fifi dressed in costume and wearing shorts, leading an elephant down Worth Avenue in a circus parade on Washington's Birthday. Aksel devoted his time to his charity Thrift, Inc. and to marlin fishing, the sport in which he was a world champion . Fifi once again filed for divorce, this time in West Palm Beach, in May 1951, on grounds of extreme cruelty. She claimed Aksel had been critical of her ownership of race horses and that he insisted she sell her horses and spend some money on clothing. The Wichfelds were granted a divorce and the settlement was not made public. Aksel C. P. Wichfeld died at age 67 on September 11, 1956, at the Bispebjerg Hospital in Copenhagen, Denmark, during a visit to his homeland. Fifi next married Commander Anson A Bigelow, U.S.N. Retired, and a veteran of both World Wars, at her Palm Beach estate, The Reef, which had its own tunnel that ran under the street to the ocean. Fifi continued to race horses and her colors were seen often at Hialeah. A November 1955 newspaper article recounts how her colt Nail won the Remsen Stakes at the Jamaica racetrack along with a $64,425 purse. Fifi had purchased the colt for $20,000 and his earnings to date were $171,950. Trainer George P. Odom said that Mrs. Bigelow's reason for purchasing Nail was because he (the horse) had winked at her in the Saratoga sales ring. Commander Bigelow died on Dec. 3, 1958, in Palm Beach. Josephine "Fifi" Pancoast Widener Leidy Holden Wichfeld Bigelow died March 6, 1961 at age 58 in the Good Samaritan Hospital in West Palm Beach, after an illness of several weeks. Her obituary lists her survivor as her daughter, Mrs. James C. Ray of Switzerland. Fifi Widener is buried next to her fourth and final husband, Commander Bigelow at Woodlawn Cemetery in West Palm Beach, Fla.
From the turn of the century through the 1960's the Widener Family received extensive press coverage in the Philadelphia and New York newspapers. Their births, marriages, divorces, deaths, money, social activities, travels, and sporting life were all reported in great detail. Old clippings tell of grand formal balls and parties they held in Philadelphia, Newport, and Palm Beach. Living on gated estates, attended by dozens of servants, they lived in a formal, elegant manner that few people will ever experience. Times change and today life is much less formal, even for Upper Class East Coast high society and the descendants of the extended Widener family although they still make the news occasionally. Then enter "Mrs. George F. Ryan" in the Search field. Check the results column for links to the photos.